An African safari is a most exhilarating experience. 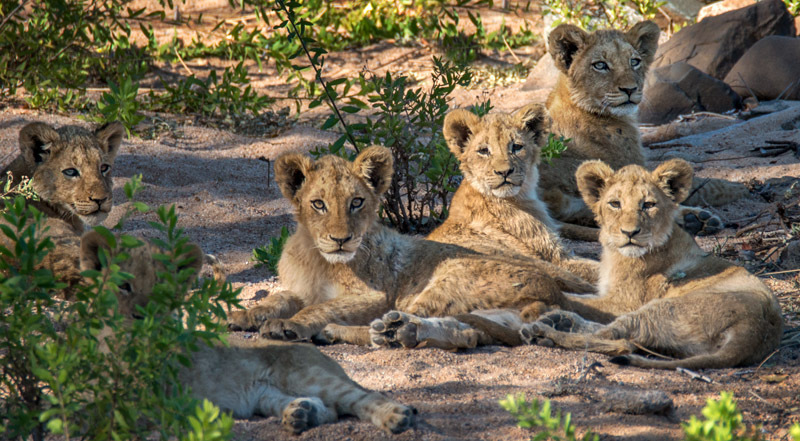 Here are 10 tips for amateur photographers who want to make the most of their up-coming safari holiday. The internet’s keyboard ninjas who say “camera gear doesn’t matter” have clearly never been on safari. 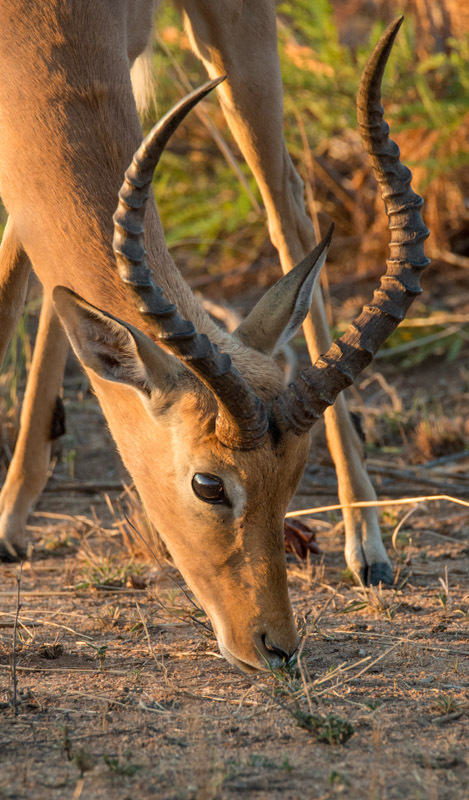 Occasionally you can get lucky and stop your car within 20 feet of an animal to snap it with your smartphone, but most of the time you’ll need a decent telephoto lens on a dedicated camera to take full advantage of the safari experience. 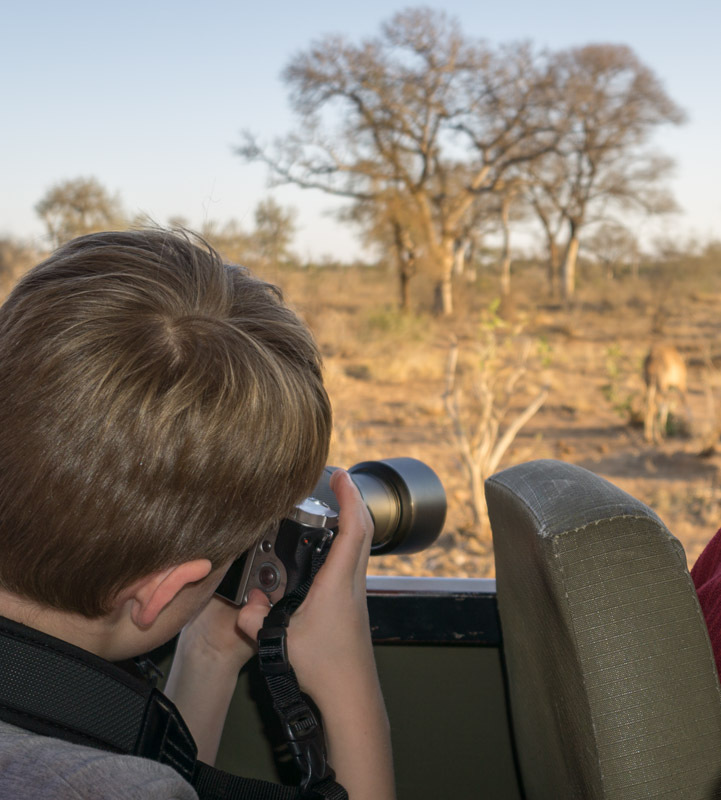 Even 7 year olds can successfully use a telephoto lens on safari! Generally on safari, bigger is better when it comes to lens magnification. A 200mm full-frame-equivalent lens (no matter which camera you take) would be a minimum, with 600mm more preferable. One gentleman I met on a sunset drive showed me his recently purchased Canon M4 mirrorless camera with 18-55mm kit lens to travel light on safari, leaving his DSLR with longer lens at home. The poor guy looked so wistfully at my 150-600mm lens attached to a DSLR, realising too late how useful the extra reach was. Given almost all the game viewing is done from inside a vehicle where gear can rest on a seat when not in use, his smaller setup provided him no benefit. But he missed a lot of great shots due to his lack of telephoto lens. If I was offered the choice on safari between a $400 point-and-shoot with a 10x plus zoom lens (eg. 300+mm full frame equivalent lens), and a $4,000 Canon 50 megapixel DSLR with 18-55mm lens, I’d probably take the point-and-shoot. Of course, a camera/lens combination that has plenty of reach and works well in low light is necessary for sunset and night drives, however most wild game is best seen in daylight hours. So a high magnification point-and-shoot can be a very effective tool on safari if you don’t have a DSLR. A two-camera setup is ideal – one with a telephoto zoom lens, and one with a mid-range or wide angle lens for scenery and context shots. This allows you to quickly change focal lengths when you are on a guided tour with non-photographers and a driver who is keen to move on. It also helps you avoid lens changes in dusty environments. In the excitement of seeing a particularly magnificent, exotic animal in the wild for the first time, it is easy to forget that photography is ultimately about capturing light. By all means, get a quick snap upon first sighting, because you don’t know if that’s the only picture of it you’ll get. But sometimes that first image has the animal in unflattering shadow or harshly dappled light. When you have the opportunity to wait and watch, it is worth hanging about to see if the bird will turn its head into the light, the rhino will step out of the dappled shadows, or the lion will roll over and poke his head up into the late afternoon sun. The “golden hour”, so desired by landscape photographers, also provides great soft warm light to shoot animals in. 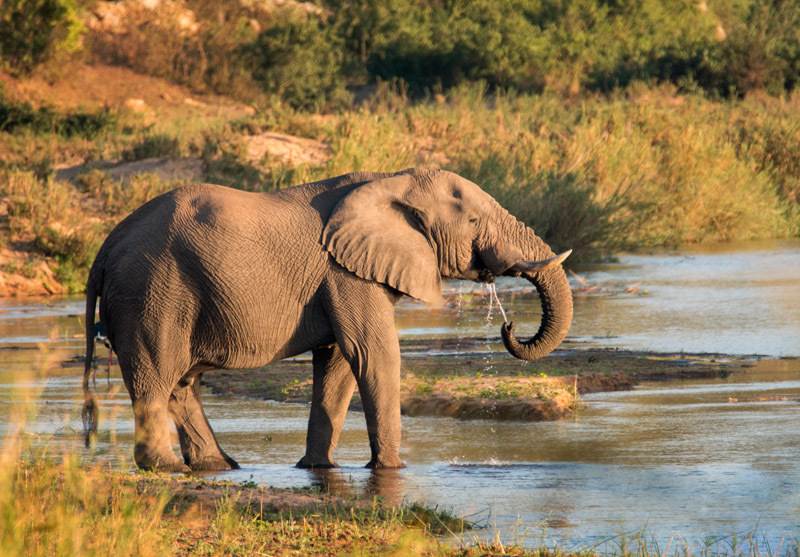 Often lasting over two hours before sunset in Southern Africa, it is worth ensuring you get out and about in the golden hour at least once, to hopefully catch sight of your favourite animals. But don’t forget the rest of the day, as great shots can be had in bright light, too. Thirsty elephant at sunrise. Nikon d800 + Tamron SP AF 150-600mm lens, 600mm @ f/8, 1/640 second, ISO900. The amazing variety of African bird life can be equally as engrossing as the four legged animals. 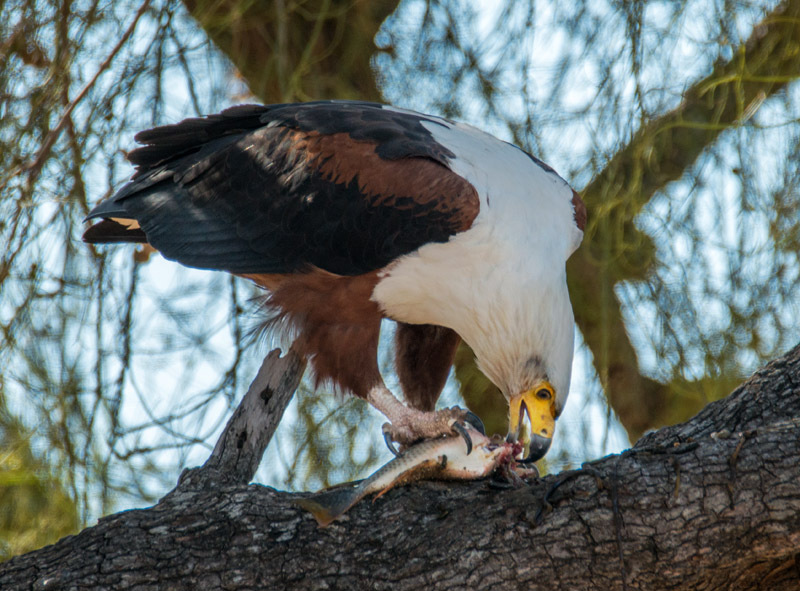 Don’t forget to look up for vulture’s nests in trees – you may even catch a glimpse of a mother with her chicks. Fascinating birds perched in trees or soaring in flight can make great photographic subjects. Leopards also often hide in trees during the daytime, and there is little more exhilarating than spotting a leopard in the wild. We all know that luck and patience are usually required to spot the more spectacular or sought-after animals. However, it can be even more difficult to have patience after the initial sighting of an animal, or group of animals. A first view of an elephant definitely warrants a shutter press, however with a little more patience, an even better shot might be had. Maybe a baby elephant will trot over, or maybe the elephant will flap its ears, curl its trunk or open its mouth. Or maybe it will turn more towards your camera, affording you a better sense of connection with your subject. So, staying a little longer at a scene to enjoy observing animal behaviour can be rewarding photographically, too. Most difficult of all is to have patience with animals that are very prevalent in the area. It is so easy to quickly start ignoring that one kind of antelope that seems to congregate in large herds around every second corner. We humans so quickly lose interest in that kind of antelope, driving impatiently past, hoping to spot a more uncommon species. 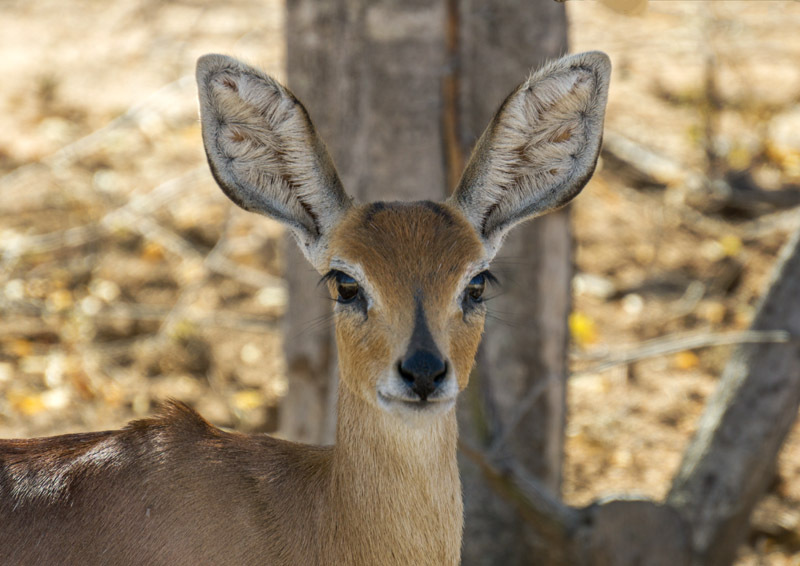 However, once back at home and looking through all your photos, that one kind of common antelope is suddenly thousands of miles away and no longer available to photograph. So don’t forget to stop a few times at the most common animals when the light or scene is great, or when they are close to the road or doing something interesting. The fact they are common is an opportunity to get a good shot of that species, not just an adequate image for the archives. It is easy to become fixated on the spectacular wild game and forget about the environment around the animals. The African landscape can be as spectacular as the animals, as can the sunsets. Don’t forget to assess the wider view as you hunt for game, looking for opportunities to capture the interesting environment even if there is not a wild animal in sight. The surrounding environment is well worth remembering when photographing animals, too. Sometimes zooming back to show the animal in its natural environment can make an even more compelling image than zooming in. So, zoom lenses can be used creatively to zoom well out, as well as in for the close up. 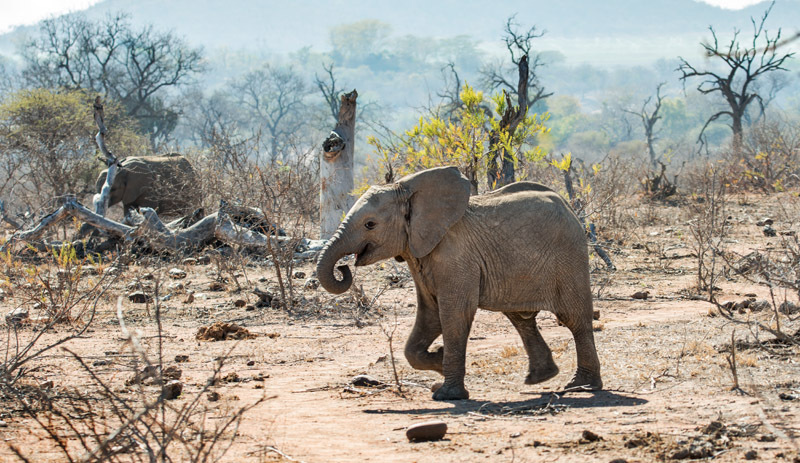 A baby elephant frolicking about is always a pleasure to see, but this contrasts with the incredible environmental damage that elephant overpopulation has caused. Nikon d800 + Tamron SP AF 150-600mm lens, 150mm @ f/8, 1/160 second, ISO110. Sightings of the more shy creatures can be fleeting, because they may scoot off into the bush shortly after you spot them. Usually an image of an animal facing the camera is most compelling, however wild animals sometimes have a tendency to turn and show you their back side as soon as you stop. So be prepared! If your camera is switched on and set to be ready to shoot at the touch of a button, you’ll be able to quickly catch that one image before your quarry turns away. Aperture priority mode, with appropriate exposure compensation for the lighting conditions, often works well in the daytime. 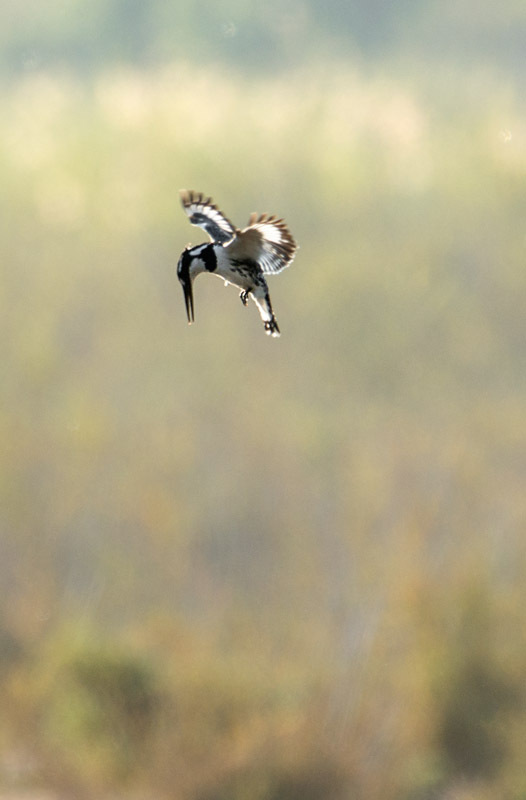 Speed priority mode is useful for flying birds, with shutter speeds of 1/1000 sec or greater being eminently possible in the bright African sun. Manual mode, with a fixed ISO, seems to work best for night drives, when moving spotlights/flashlights are the main source of light on your subject. Automatic modes (even with spot metering) can often lead to massive over or under exposure in such conditions, rendering photos useless. 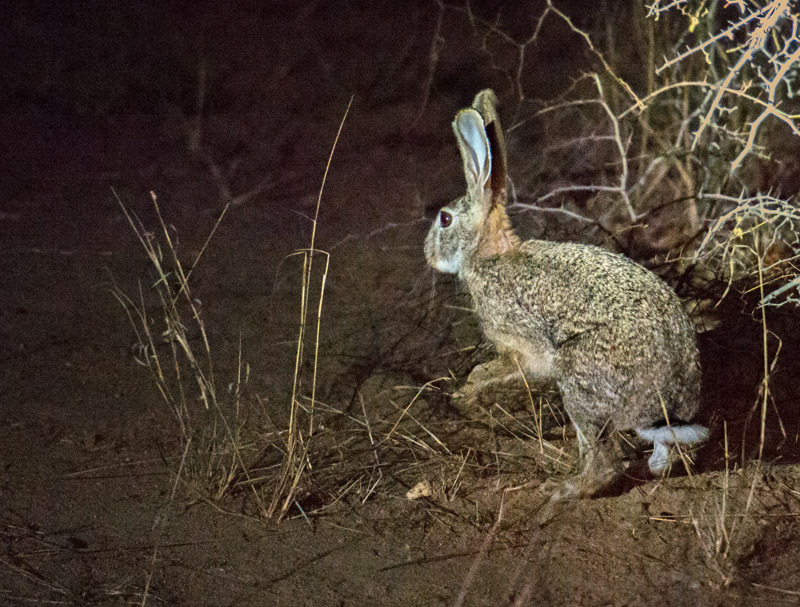 It is worth taking a few test shots of flashlights searching in the bush to determine the best exposure, prior to an animal being observed. Then, you will be ready to snap up the photo opportunities as they come, without being delayed by frequently having to change your settings whilst an animal is under the spotlight in front of you. 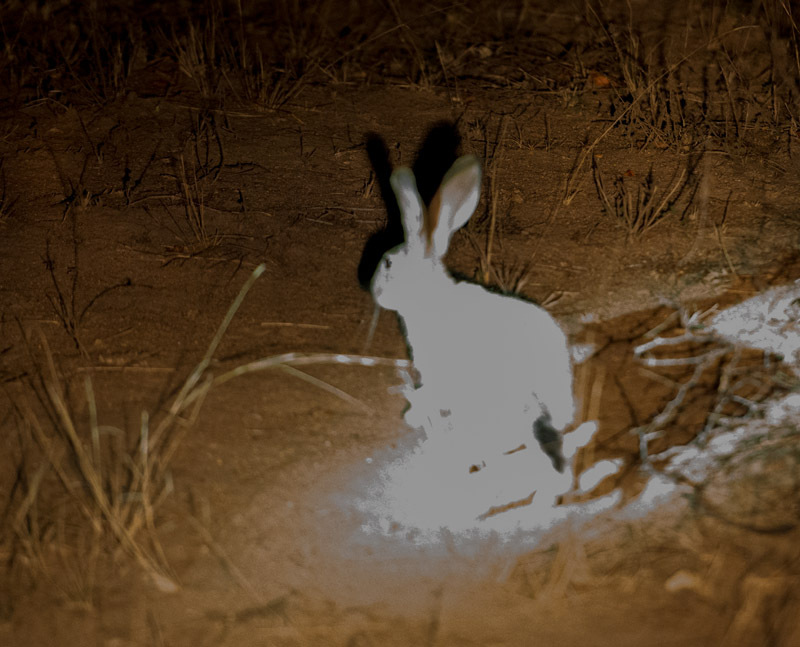 The same scrub hare, grossly overexposed as several flashlights lit it up all at once. No additional detail can be recovered from this image. The best photos evoke emotion, and what better way to evoke emotion than to portray relationships? Groups of animals interacting with each other are fascinating to watch and can provide some very interesting images. 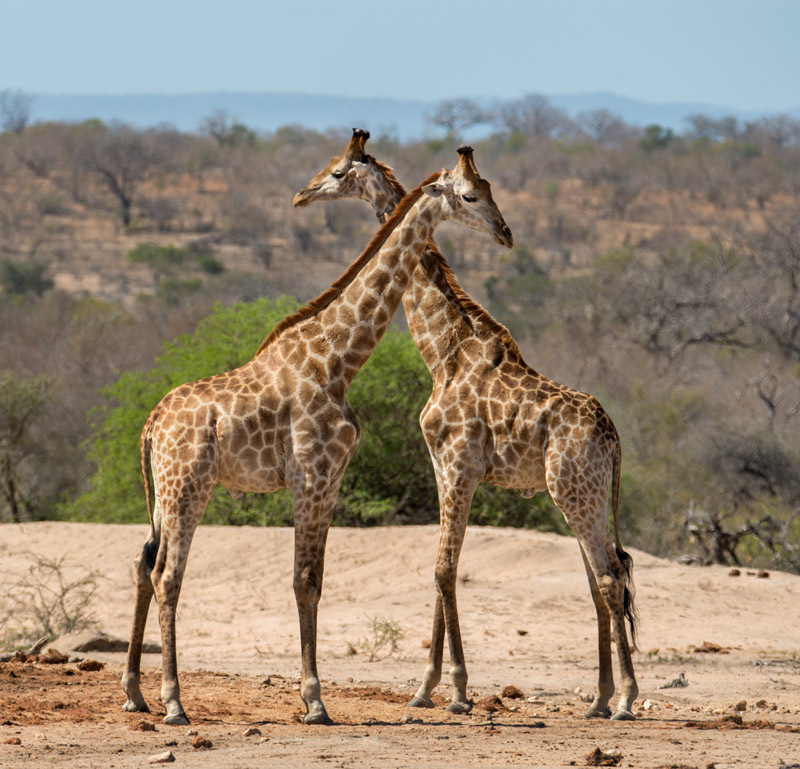 Look for symmetry with two animals together, a herd with one animal doing something different to the others, juveniles play fighting, babies with their mothers or each other, or even an animal looking directly at camera to create a connection with the viewer. As you shoot, let your imagination run as wild as the animals! Limited opportunities to change your angle of view (because you’re stuck in a vehicle on a road) does not mean there are no chances to shoot creatively. 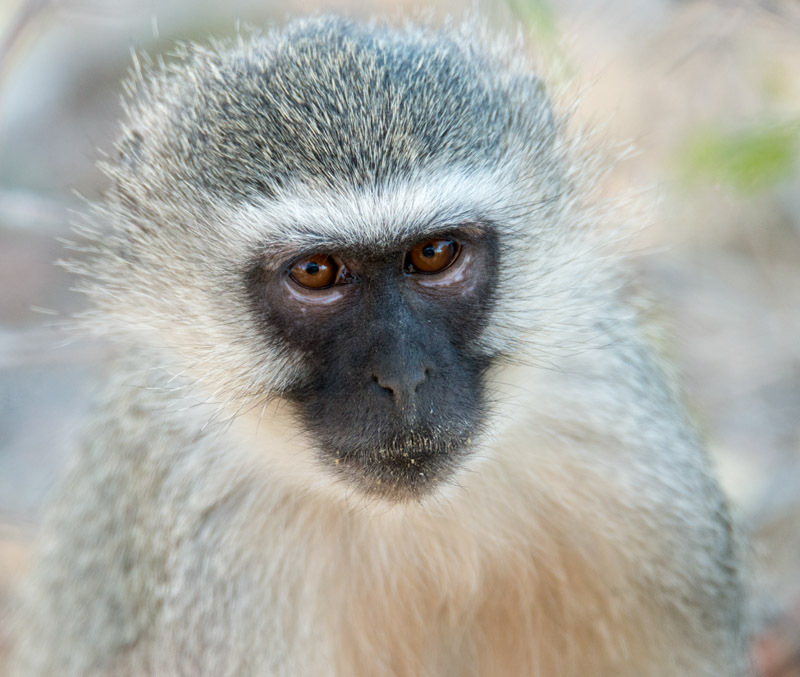 Animals close to the road, combined with a longer zoom lens, provide the opportunity for close ups. 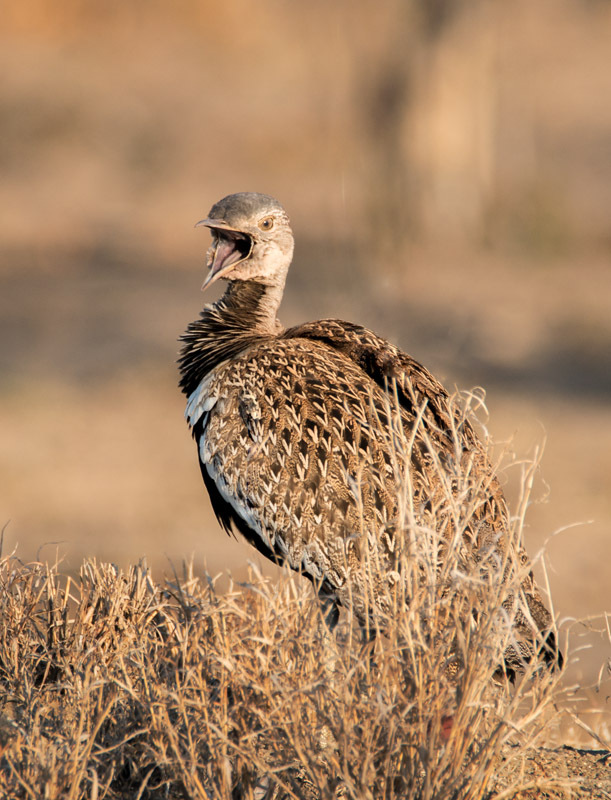 Many antelope have beautiful eyelashes, herbivores have dextrous tongues, carnivores can be seen tearing at the flesh of their dinner, larger animals’ hides have fascinating textures and some creatures attract birds as freeloading passengers. All can make for compelling images. 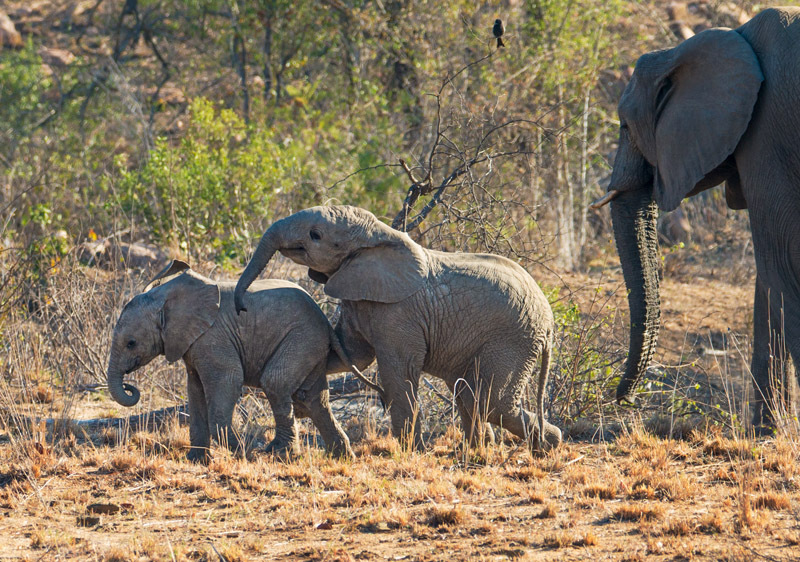 Supervised game walks in the bush also provide an opportunity to see the wilds of Africa from a different viewpoint. Rangers carry rifles as they lead a small group through the bush. 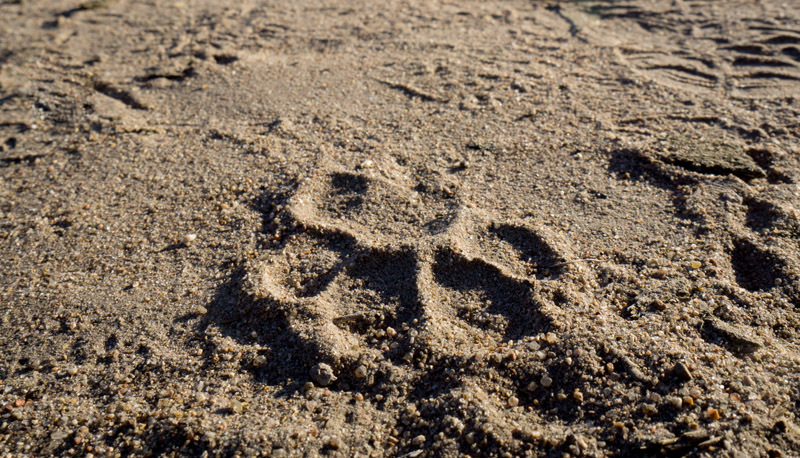 A good ranger seems to almost supernaturally spot animals in the distance, notice particular damage to vegetation and then identify spoor and paw prints right in front of them. 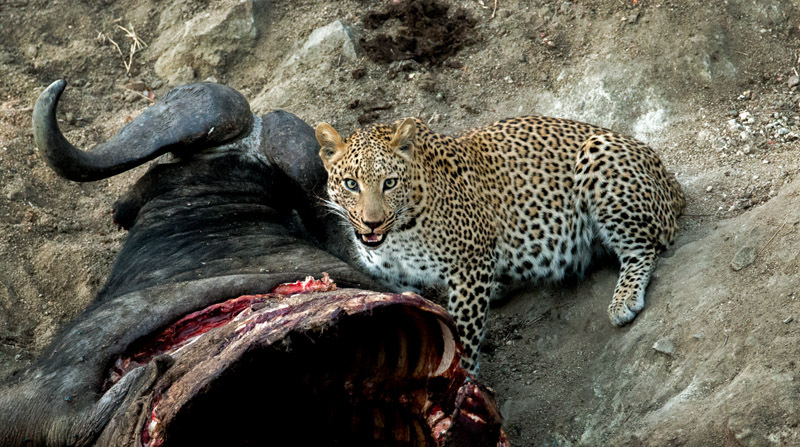 When is the best time to photograph wild animals on safari? Well, dawn can be great, then sunrise, then in the morning, afternoon, during sunset and after dark! Most people visit game parks for several days, so shooting at all these times every day is not really practical or you will quickly become burnt out. African wildlife photography, more than most other genres, lends itself well to shooting 24/7, and so special care is needed to pace oneself to enjoy the experience and make the most of it. It is easy to become so worn out that the amazing hyena sighting on the last day is shot just a little too lazily. It is too late once you’re on that plane home! Better to pace yourself throughout, to maximise all the opportunities on offer, without becoming burnt out with an over-taxing schedule. 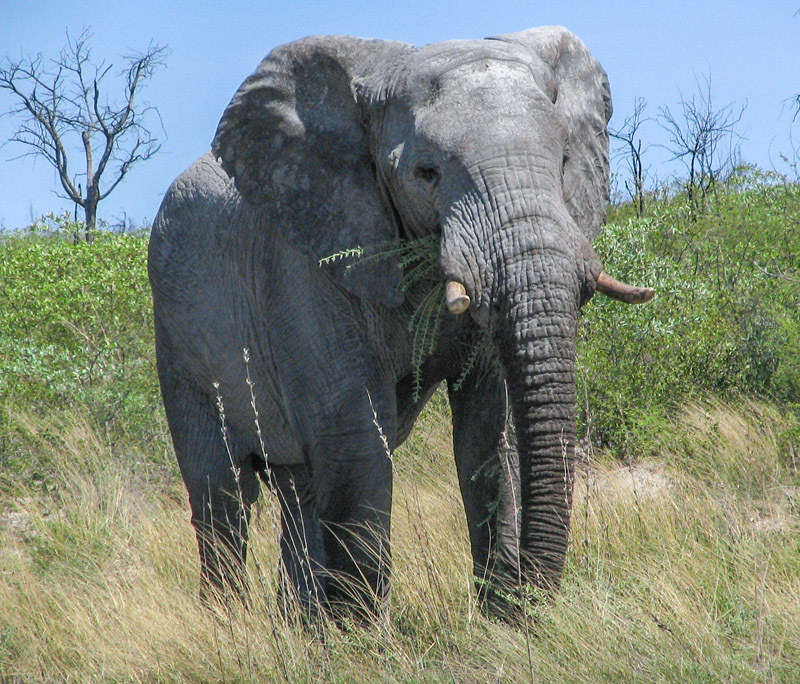 It is well worth planning your time before arriving on safari. 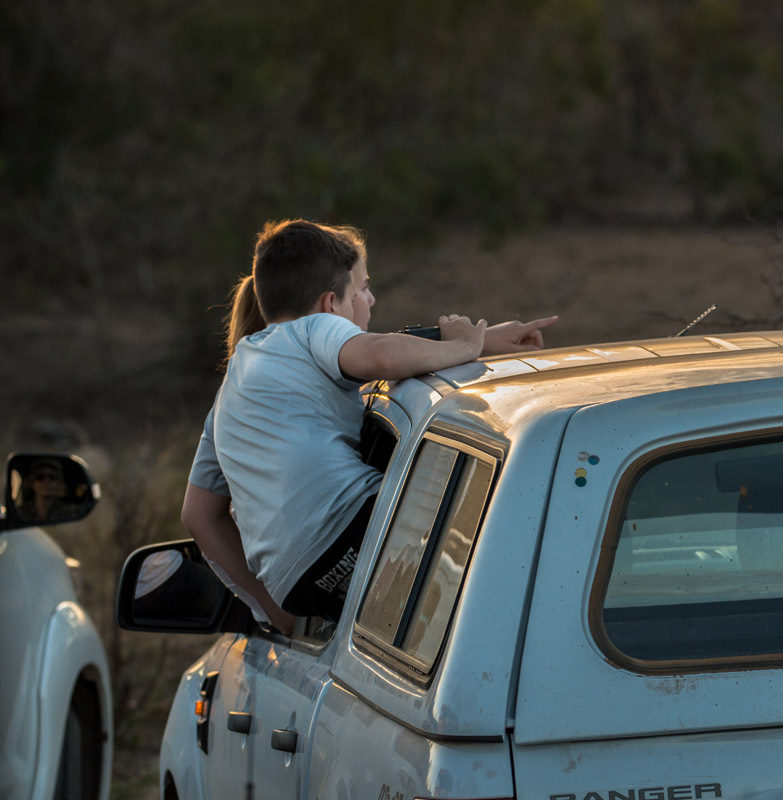 Official game drives and walks usually need to be booked well in advance, so pace yourself as you book in sunrise drives, sunset drives and game walks. Mix it up with self driving a hire car in the daytime, to gain a well rounded safari experience. Two of my favourite sayings are “it’s not illegal if you don’t get caught” and “it’s easier to ask for forgiveness than permission”. However, there is a time and place for that, and a safari in Africa is not one of them! The few rules in game parks were each created because someone died, and so my best advice is : don’t die! If looks could kill! This leopard looked more than a little annoyed at me disturbing his dinner time. Nikon d800 + Tamron SP AF 150-600mm lens, 420mm @ f/8, 1/100 second, ISO 10,000. And for goodness sake, do not under any circumstances get out of your vehicle when on safari. A woman was mauled by a tiger in China recently after getting out of her car for just 10 seconds, reportedly in an argument with the driver. The ability of wild animals to be stealthy and deadly should not be underestimated! 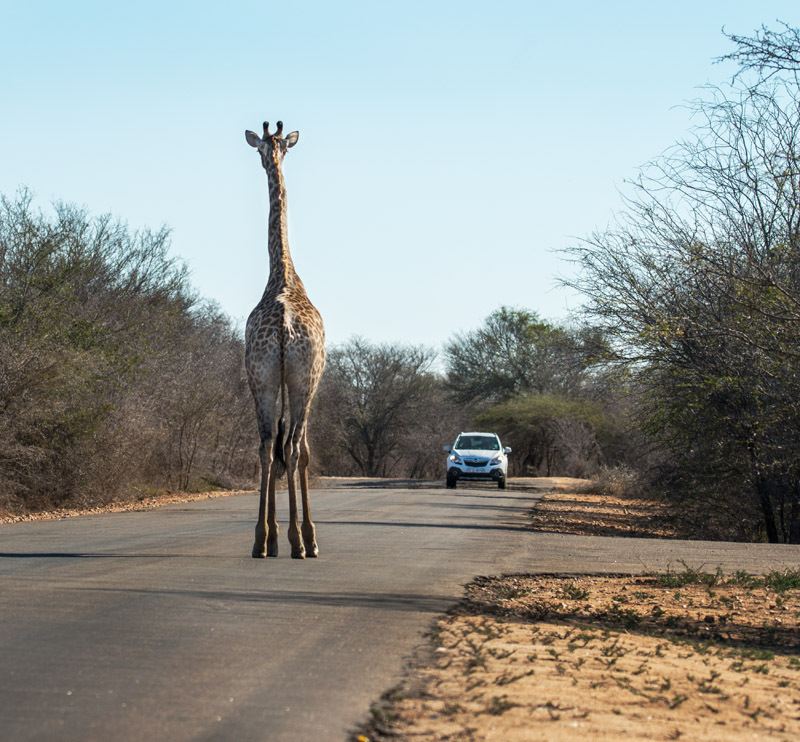 Following speed limits and not getting too close to large animals are other rules well worth following in a game park. As well as the obvious danger to animals, other vehicles and yourself, you could find your stupidity “go viral” on social media for the whole world to enjoy. The driver of the blue car in this linked video learned those lessons the hard way. And a final rule to follow religiously : don’t stay out in the park after the gates are shut. Aside from the fines, after hours is the time when poachers are shot with high powered rifles. So ensure you drive your hire car back to your accommodation before the gates shut. Take official tours to see the animals after dark, to make sure you don’t cop a hail of bullets after being confused for a poacher. 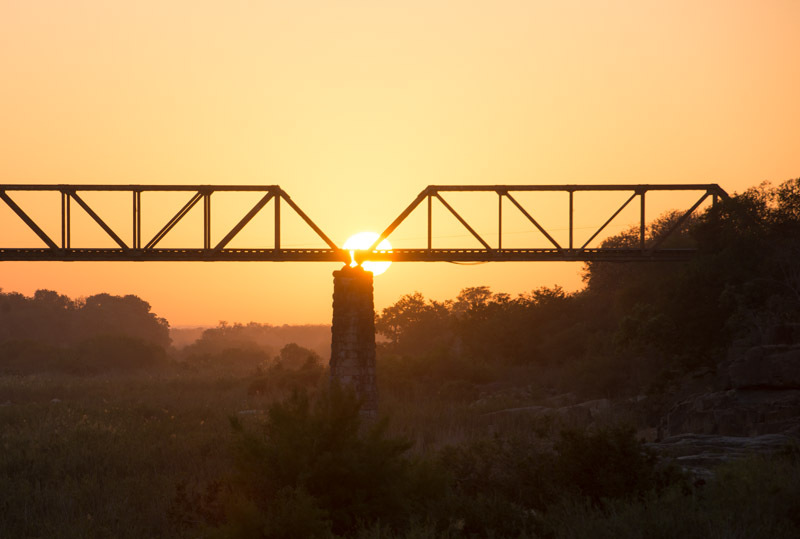 Sunrise over Sabie Bridge, Kruger National Park, South Africa. Nikon d800 + Nikon 70-200 f/2.8 lens @ 200mm, f/8, 1/100 second, ISO100. If you have never been on safari in Africa, I highly recommend it! Take a camera with a decent zoom lens, think creatively as you photograph, be intentional with your time, and follow the park rules. In this way, you are virtually guaranteed to come away with some great photos and very happy memories. 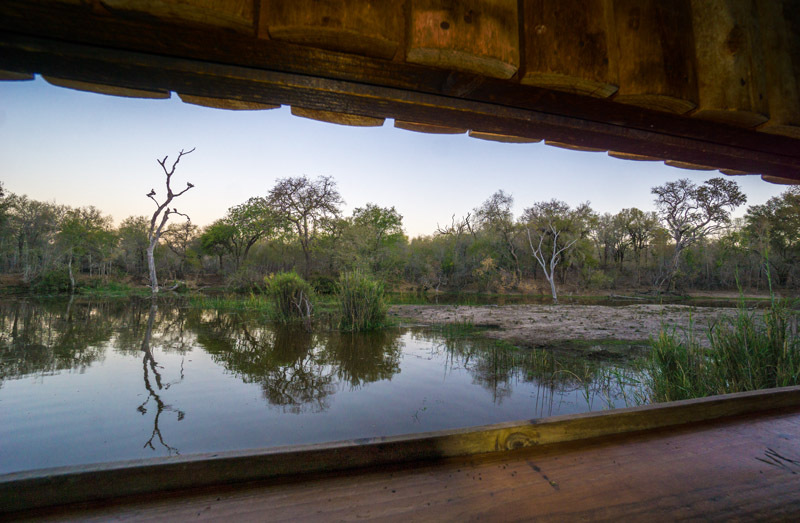 All images in this article were shot by Simon Patterson at Kruger National Park, South Africa, except where otherwise noted. Simon is an enthusiastic photographer who also likes discovering the truth about things. He loves hiking and camping in the wilderness and the challenge of learning to communicate through the art of photography. Simon aims to create images that affect people emotionally. When not out shooting or processing images, he reads everything he can about photography. Simon is a country boy who resides in Victoria, Australia.